Ryan has a tremendously impressive and extensive volleyball background, with experience playing at the collegiate, national, and international levels. Ryan is a former member of the United States Men’s National Team from 2010-2015. From 2012-2013 Ryan was a member of the Pan Am Cup Team, which won the Pan Am Cup Championship in 2012. Ryan attended college at UC Irvine and played on the Men’s Volleyball Team as setter from 2004-2009. While at UC Irvine Ryan was a 2-time NCAA Champion (2007 and 2009), was awarded the Most Valuable Player of the NCAA Men’s Division I Final Four tournament in 2009, and was named a NCAA First Team All-American selection in 2009. Ryan also played professionally overseas in Spain, Sweden, Slovenia, Italy, Belgium, and Croatia. While competing on his professional team in Croatia Ryan won two Championships, in 2011 and 2013. Ryan’s coaching experience includes four years as Assistant Coach for the 15’s and 16’s age groups at the Balboa Bay Boys Volleyball Club located in Southern California. Ryan also served as the Volunteer Assistant for the UC Irvine Men’s Volleyball team for the 2013-2014 season. During the 2015-2016 club season Ryan was the Assistant Coach of the 14 Peak team at Elevation Volleyball Club in Englewood, Colorado. 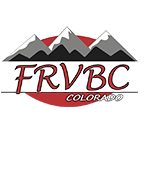 Ryan’s sister Sarah is a FRVBC alumna and was an All-American at Texas A&M and played professionally in Europe for 5 years. His other sister, Hannah, just graduated from Chapparal and will continue her career at University of Colorado – Colorado Springs. His other two sisters, Emma and Mary, are currently in our program. His brothers Luke & Dalton are also alumna. Dalton played for Long Beach State and professionallly in Europe for 3 years. In just two seasons head coaching at FRVBC, Ryan has earned two bids to the USAV Junior National Championships. Ryan also works full-time in the Front Range VBC office in our Video Department.